I’m a lateral thinker inclined to make connections between seemingly unrelated things. In writing about 19th century women poets lately I’ve been thinking about the challenges of their domestic lives in the midst of their creative pursuits. I was also challenged by Joy’s recent post reflecting on Billy Coffey’s thoughts on ‘naked writing.’ It got me thinking further about the function of some of my writing here. It has always amused me that in being slightly polymathic, in being willing to push my own boundaries as a writer, a scholar, a woman, an artist, I present problems to those who categorise. 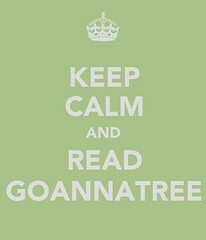 Goannatree is on some lists as a biblio-blog, and on others as a theology-blog and is yet not included on others. It amuses me because although I do not engage in the academic discipline of biblical studies, everything about this blog is built on the foundations of biblical studies, theology, and everything I know and feel about literature, faith, art, and life. Am I going to share with you the latest in the New Testament studies? probably not, but I will share with you the way in which NT Wrights inaugural lecture as a university of St Andrews professor challenged me to stand up for myself as someone who loves narrative, loves the bible, loves God, and not to shrink back from all that my research and explorations into Theology of the arts, and theology and the arts, can teach us all. I do write, now, as a theologian, inasmuch as I have been trained to think theologically, to apply that thinking to my research, and more importantly, I would argue, life. So here I am before you; claiming the descriptor, assuming the mantle, of theologian. And declaring a willingness to be naked. This my second Life Unmasked post for 2012. You may find my last life:unmasked post for 2011, A journeywoman, and my first for 2012, I’m an inbetweener of interest. All my 2011 Life unmasked can be found on this handy list. You can thank Joy of Joy’s Journey for pushing me to get involved in this weekly foray into ‘writing naked.’ This post is also linked up to Turquoise Gates Bloghop. ‘If that labels me as anything. Let it be that I don’t compartmentalize. Brilliant!! I am totally with you on that! Great post, and a fantastic reminder that theology should be thought out and lived out – wherever and whenever! ‘thought out and lived out’ YES! Faith is to be tested and refined. Thank you for these words – and for searching for a living theology, a theology that relishes life. I can’t wait to keep reading. great to meet you Hilary and thanks for commenting! 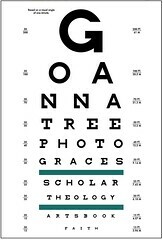 ‘searching for a living theology, a theology that relishes life’ – that’s my heart. thankyou for the encouragement. Do you have a word for 2012? I do! My word is build. I found it on New Year’s Eve, while writing about what to think about the past year. I don’t know what it holds yet, but I’m excited to find out. How did you find your one word? ask @amykiane:twitter , it took me a little longer. I wrote a post about it a few days ago, but basically, i needed a word that encompassed what I looked forward to about this year and how I wanted to engage with the world and with life. It actually came to me in those moments just before sleep….i brainstormed for an hour, went for a walk and nothing seemed right…until sleep. It does wonders, sleep does! It does do wonders! It’s funny how I never thought that just one word could encompass all those things – that we look forward to, that we want to engage… and yet the words I have found always do encompass that, and so much more! I love this post, Anna, and I read you because you write the way you do, in a not-to-be-categorized way. thankyou Tamara, it means a lot that you would say that. I appreciate your candor and perspective. Resisting the compartmentalization and label-making is a daunting task. it is. I think that it goes against much of the academic grain is what makes it so for me, though as i say I’ve realised that like anything these are learned skills and behaviours! Amen. Writing naked makes us vulnerable, but it really speaks to others and makes them feel like they’re alone in this world, the only person feeling what they’re feeling. may it be as you say, Jessica! Woops, I meant – makes them feel like they’re NOT alone. Ha. I understood what you meant. ’tis okay! i figured that. ’tis okay. Wow. Awesome challenge. Am simultaneously hearing your call and cheering you on. thankyou Tanya. Sharing the journey of life is what it’s all about! Thank you for sharing this. What you share through your blog gives me hope that, as a person with so many seemingly irreconcilable compartments, there is a chance for reconciliation and that– yes!– all of life matters. Thank you from a fellow young woman/theologian/creative. thankyou. the actual practice of reconciling all these aspects is definitely a work in progress! You make me smile, Anna. I do hope to see you soon. The kind of smile that’s really your soul smiling. Oh, and I forgot to thank you. You make my soul smile, Anna. Thank you. I do hope to see you soon. souls smiling is a good thing.